All In The Same Boat | Doppsonline.com Dopps Chiropractic: Our family bringing health to your family for over 40 years! Every day, people around the world thank their Chiropractors for giving them their health and their Lives back. It’s common to hear patients say ‘doc, you really did a great job…’ and ‘doc, you helped me when no one else could.’ But the truth is… we can’t take all the credit for it. While medicine gives most of the credit for healing to the physician or the drug, Chiropractors see it as a team effort with four key players – the Chiropractor who clears interference from the nerve system, the innate wisdom within the patient which orchestrates the healing, the patient who practices good lifestyle habits and the time it takes for the process to unfold. We’re ecstatic when you see results from our service. But never forget, we’re not the only one rowing the boat. 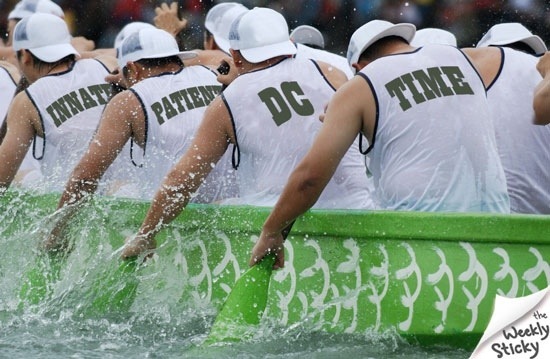 There are three other oarsmen, pulling in unison… and together, we make the perfect, healing team!